Tehran Annual Digital Art Exhibition (TADAEX) was founded in December 2011 to open a new widow toward digital art in Iran and to create a serious and independent atmosphere for the enthusiasts and researchers of this field. The generally non-commercial nature of digital art among contemporary art mediums on one hand, and the expensiveness of digital art tools and equipment on the other hand, makes it difficult for the Iranian artists to work and gain experience in this field. Therefore, there might be limited works for display and presentation. Also, the limited academic background and experience need help and management. With all these shortcomings, during the past two periods international artists have been invited to take part in TADAEX for interaction and exchange of experience. This has paved the ground for development and enrichment of Iranian digital art production and presentation. 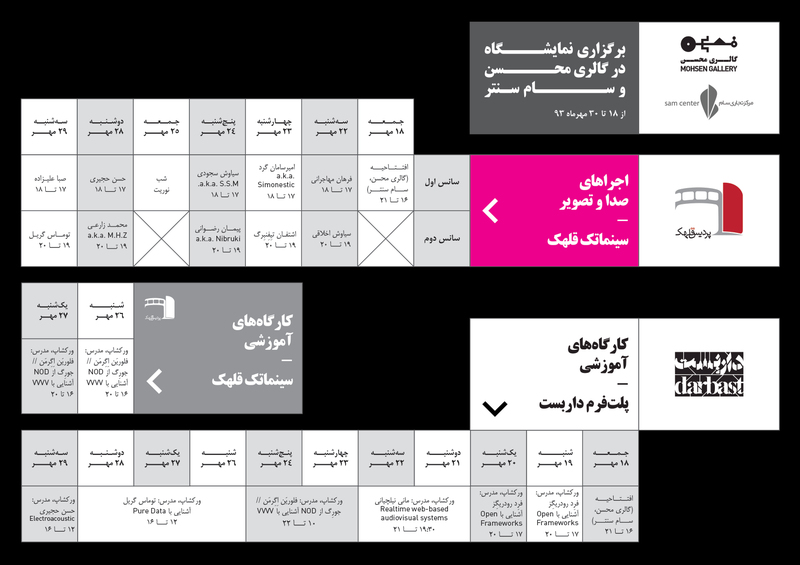 TADAEX, in its Fourth Edition, has tried to hold programs in three different locations in Tehran for better access of people and for more viewers, displaying selection of Iranian and foreign works, holding training workshops, lectures, multimedia performances, and introducing international associations and festivals. TADAEX, this time, will provide a chance for digital art artists, specialists, students, and enthusiasts to review the contemporary trend of this art in Iran and in other countries and exchange views and experiences with one another in a free atmosphere. It is hoped that the new achievements of this round of TADAEX, in addition to awarding the first winners of TADAGRANT, would open new ground for interaction of all viewers with TADAEX and will help its development during the coming years. The organizers hope the new atmosphere before the viewers will help rapid development of digital art in Iranian visual art field and open new chapters for its growth. We live in an age encompassed and governed by digital tools and media. The ever-increasing achievements of modern man for improvement of his life through digital software-oriented procedures and methods have led to boosting the quality of life, security and safety, welfare and communications. The results can be clearly observed in the changes in the style of life of the people and governance of the governments. During all these years, the contemporary art has improved manners of expression and presentation in tandem with the development of digital technology and culture. Beyond mere display of art, Tehran Annual Digital Art Exhibition (TADAEX) is a place for digital perspective, creation of a contemporary and flexible platform for exchange of views, culture and digital way of life among the artists, art lovers and enthusiasts. It is a good chance in an age where basically violence, hegemony and poverty have left little chances for interaction, dialog and peaceful coexistence for contemporary man. We can call Lotus as ‘recreating hidden algorithms in the nature’. The nature which left behind in the age of machines… and an untruth belief of life that got our minds under its control… And an Interaction which is forever gone away from the nature and human being. We remember one another, be it enemy or friend. The remembrance, however, is now mechanical or electrical in nature. Our friends send us a text by simply touching a pad or tagging a picture now and then. If enemy, we push a button or touch a pad and pour a shower of bombs and missiles on other people. In this project we want to remember one another away from mechanical life concerns. Relying upon the facilities the virtual world puts at our disposal, we turn our virtual sentiments into bubbles and send it to anyone from everywhere. Eye is a simple optical illusion that uses technology specifically a 360 degree lens and an oculus rift to complete the illusion. eye is a simple optical trick that uses technology (specifically a 360 degree lens and an oculus rift) to complete the illusion. We have so many options to change our perspective today, and there are so many influences that change the way we see the world and the way we are perceived, it does not matter if it is lenses screens, filters, pictures with backdrops, or any other device that adds to the illusory life that we create. Are the things that we see with the help of technology real? As we begin to blur the border between our digital selves and our physical realities how do we know what is part of us v.s. 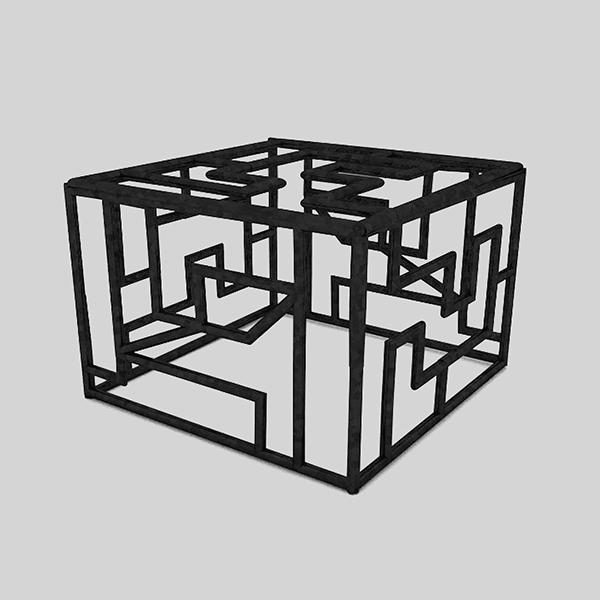 part of an abstract construct. These illusions are becoming tangible so does it matter, are we really ready to become virtual cyborgs? Do we know what we are getting ourselves into? Frederick Rodrigues is an Australian electronic artist currently based in the Netherlands. He focuses his work on live performance and installations. He has worked with a diverse range of artists as well as developing his own work. As a technologists he is dedicated to the open exchange of knowledge inside the artistic community be it online or in person. Understanding the importance of amount and time of speaking and listening would be ideal in a conversation between tow people, which demonstrate mutual respect. “I’m so glad to tell you” is an interactive installation based on dialogue sequences of famous Iranian and Western movies. Presented on multiple monitors, the classical shot/reverse shot patterns get replaced with recordings of the spectators in the gallery space. 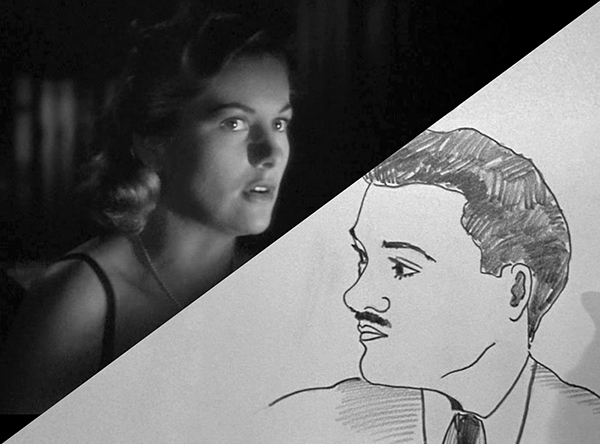 The live images follow the same editing and camera angles as the originals, revealing their mechanism of storytelling. Changing their role from the observer to the observed, the spectator is blurring the boundary between fiction and reality and the similarities and differences in both visual imaginaries become visible. The slide projector orchestra is a non-human orchestra, with slide-projectors taking over the role of musical parts. The noise of the fans, the rattling of the carousel, the clicking of the slides – all the generated sounds are directed by microcontrollers. The musical score is also the key element for the visual presentation, which is based on rhythm rather than a narrative. 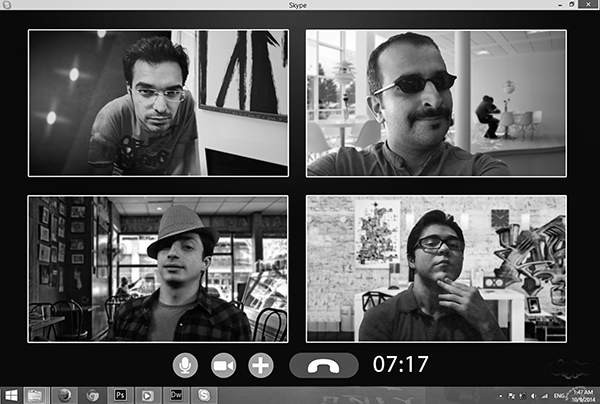 Monitoring [Tehran] is a multi channel interactive video installation of a durational performance for Skype. Some Tehran dwellers are online at their home, whether performing or simply doing their everyday life activities. Walls of their private interiors had been removed and replaced by the windows of Skype, as they are being watched in their private space. This live installation is an attempt between the public and the private place within what we might call aesthetic surveillance. The extraordinary popularity of websites devoted to voluntary public exposure ratifies the impulse toward private performances. No one could have foreseen, however, the fateful dance between voluntary and involuntary acting for the camera as symbolized by Reality TV and surveillance. Many of the psycho-social phenomena (such as celebrities; lust for privacy; fears of intimacy; cultural narcism) are reflected in the mega-success of television shows that cast real people in all manner of situations. In these realms (which are actually anything but ‘real’), people voluntarily allow themselves to be taped both openly and surreptitiously. 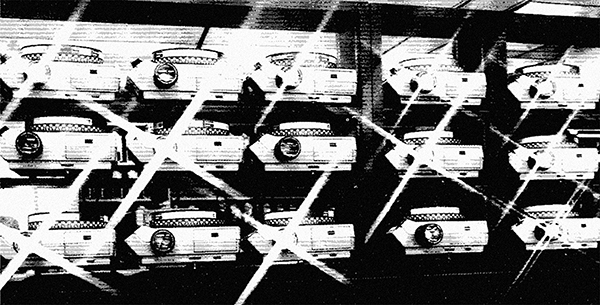 Surveillance becomes performance and vice versa. Monitoring [Tehran] shifts the public space to an intimate private one where the viewers are exposed to the private worlds of others that are revealed to them through many windows. The presence of these Tehran dwellers is mediated through the lens of the laptops’ cameras at the gaze of their viewers. The viewers then, are watching what might be in between the virtual and the real while exploring the absence within the two worlds! The question remains: How can we suggest our real presence? 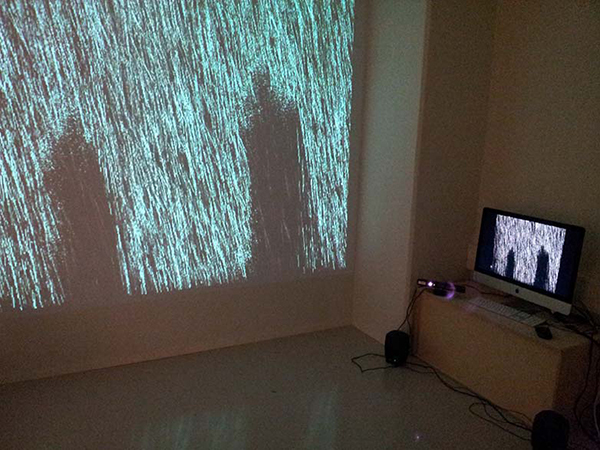 “Kinect Rain” is a black and white rain simulation using a Kinect. 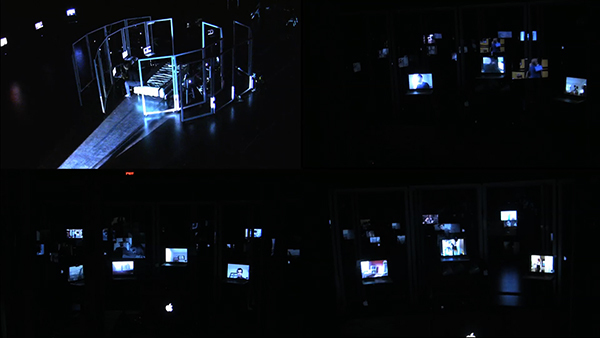 An interactive installation in the context of “Bodily Interaction” whereas the motion sensing input device (kinect) and the Processing program enables users to control and interact with the piece. We have tried to create the illusion of real life nature. The sensuous experience of being covered by rain and thus exploring how far we can go with the digital world in order to create a natural and intuitive experience otherwise only found in nature. 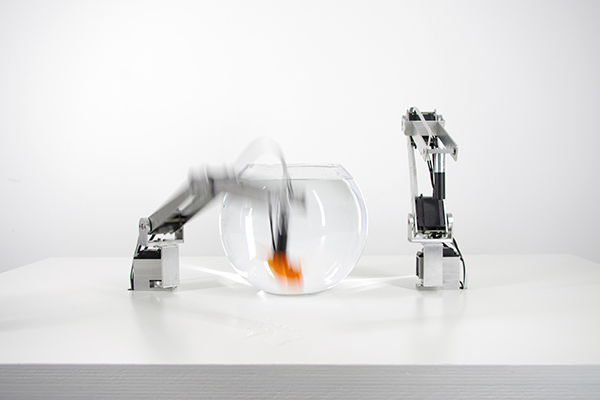 Two identically constructed robotic arms stand next to a fish bowl containing a robotic fish. One arm catches the swimming fish and puts it on the ground. The other arm collects the fish and throws it back into the water. This alleged conflict between two robots over a third machine will not develop or change in any way. All participants will continue to play their part according to their code – the fish remains at the complete mercy of both arms while they continue their tasks relentless and unimpressed. Only the observer stands aside waiting for the punch line of this absurd game. Yet the two unemotional, prosaic players and their toy will stick to their routine – over and over again. 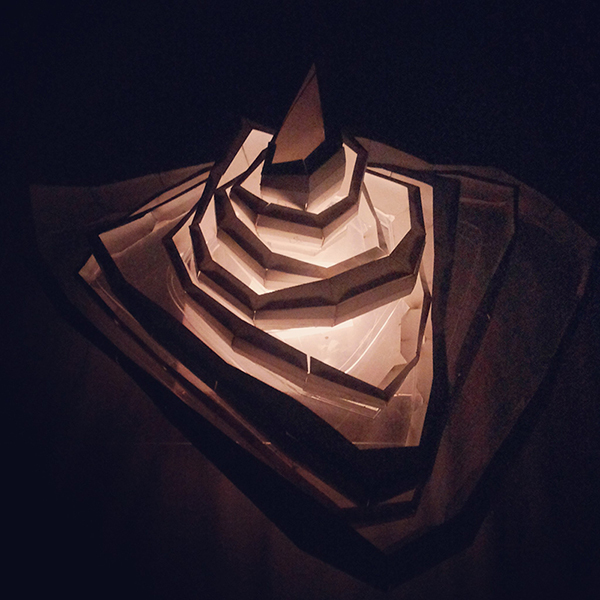 Quadrature is a collective of three artists/designers with various backgrounds. 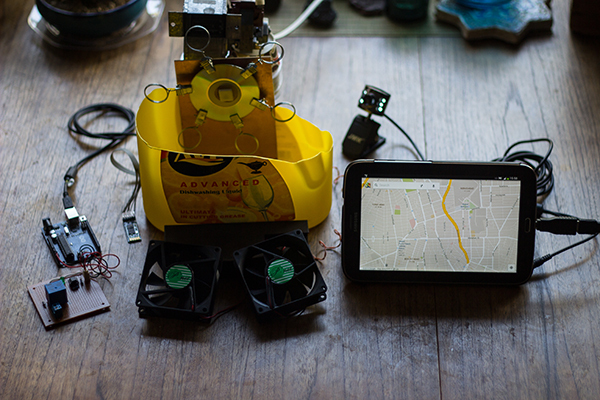 We all share a love for machines and for building things that involve light and/or robotics. 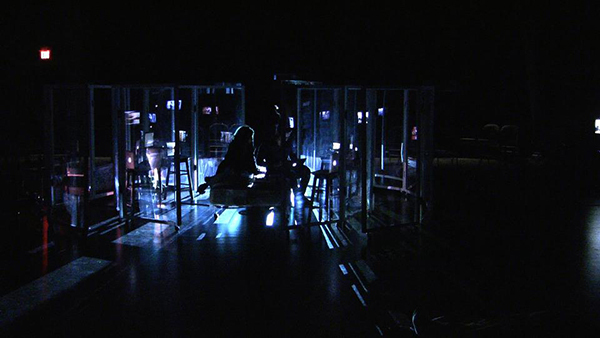 The multi-layered sonic experience of interconnected spaces leads to a suspended object in a dark empty space.the object which is the cluster of multiple speakers aims at simulating such experience and conversing with its surroundings. the piece seeks to create the fragmentary sense of spatiality by the sound spreading out into the space. 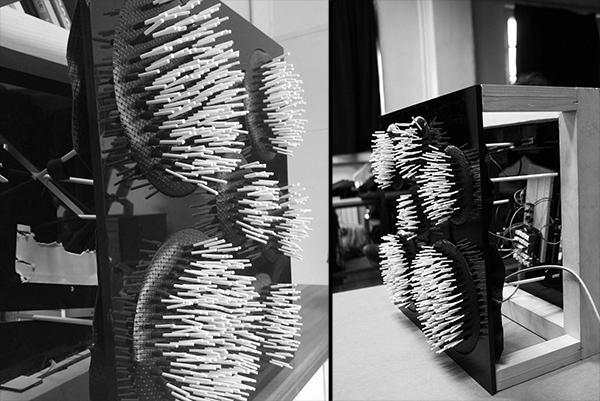 This installation is about the sculptural character of speakers and sound in the space. Sarvenaz Mostofey (IR) is an audiovisual artist with a background in photography, cinema, and media art.she received her master’s degree from the ArtScience Interfaculty of the Royal Conservatory/Academy of Art in The Hague. In her pieces she makes use of diverse set of media technologies to underline the intersection between the digital and the tactile. 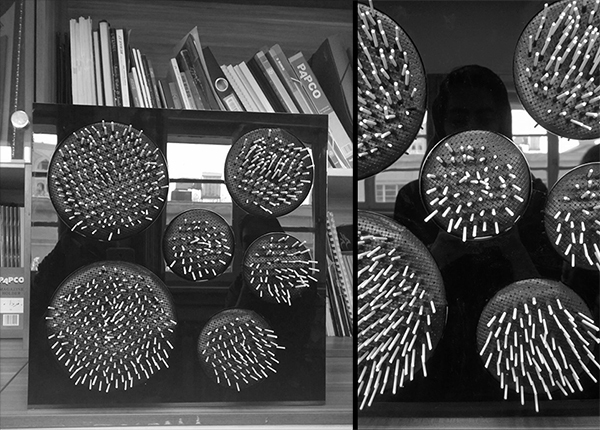 her works move between audiovisual composition, DIY electronics , installation and space as an integrative element. In the widening world of one way human-technology relation, the concept of being is lost in digital matrixes; culminating in the turbulence of a society so declined into an oblivion state where self-obsession has become an obstacle for one to realize his impressions are nothing but a mortal delusion. Individuals suffocated by an own digitalized creation, consuming their existential identity and fading them away to nihility. The Mortality is a projection of a digital corruption in the process of life; Revealing the fact that each and every one of us merely belong to the moment, and the moment alone. Re-presentation has always been a big concern for the artists. Re-presentation of pain, loneliness and man’s hopelessness is what the artist is looking to re-present. Let us make it simple and show a corner of the wall with a few TV sets! Over time, however, the pheromone trail starts to evaporate, thus reducing its attractive strength. The more time it takes for an ant to travel down the path and back again, the more time the pheromones have to evaporate. A short path, by comparison, gets marched over more frequently, and thus the pheromone density becomes higher on shorter paths than longer ones. Pheromone evaporation also has the advantage of avoiding the convergence to a locally optimal solution. If there were no evaporation at all, the paths chosen by the first ants would tend to be excessively attractive to the following ones. In that case, the exploration of the solution space would be constrained. Thus, when one ant finds a good (i.e., short) path from the colony to a food source, other ants are more likely to follow that path, and positive feedback eventually leads to all the ants’ following a single path. The idea of this installation is to mimic/visualize this behavior with ”simulated ants” walking around the graph representing their problem to solve.They interact with audience & find their path through food source depending on marks that people are standing(positions) in our environment(installation area). A black charcoal-like layer is applied to the surface of a piece of coarse drawing paper. 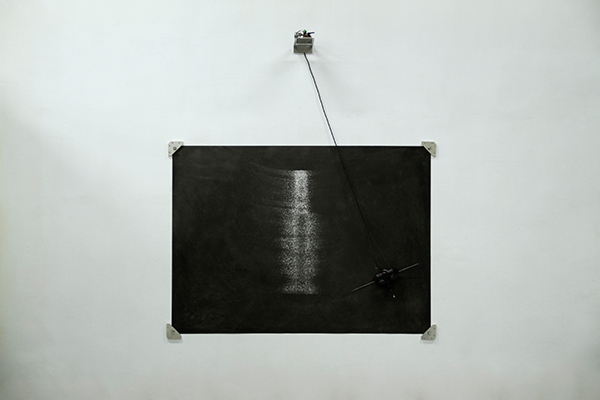 The “Data Distortion Drawing Machine” is a sort of pendulum that moves in arc-shaped swings across the paper’s surface to gradually abrade away portions of the black layer. This slow process creates a distorted data visualization. The curves the machine produces are associated with electromagnetic radiation data gathered at various locations in Tehran. There are similarities among the etched-out patterns that emerge thereby; nevertheless, since the machine is intentionally set up to work imprecisely and the “reverse drawing” process results in distortions of the visualizations, the radiation data are irretrievably lost. Thus each image is unique. Born 1981 in Baden bei Wien / Austria. Stefan’s works often deal with the destruction and modification of objects through force and at first view it seems destruction may be the main topic. On further inspection one finds, that under the physically violent surface he much more focuses on a slow process of disassembling. The act of taking things apart and deconstructing given structures, becomes a method to figure out the function and malfunction of obviously working systems. Stefan deals with these issues through different mediums, spanning from the digital and social media based work (‘User Generated Server Destruction’, ‘Senseless Tweet’) to the modification of readymade objects ( ‘Analog Delay’, ‘yesterday, today, tomorrow’) and on to performance works and experimental videos (‘WM_EX10 TCM_200DV A1.2FPP BK26′, ‘Radio 433′, ‘a to b’). On the one hand Stefan encourages the viewer to actively participate in the creation of the artwork. On the other hand he uses video and sound to create static or very slow moving sequences, where there is time and possibility to observe the scene and to dip into the happening or not happening. This project is based on my personal experience of being discriminated, because of me being gay. The generation leading Korea currently, was forced to sacrifice themselves for economic growth after the war. They were weak and exhausted from fighting off starvation. So didn’t have the luxury to fix all the errors. They still can’t understand and rejects ones individualities, and that tendency is being carried on to the next generation. But we can’t blame the victims of history. Shocking enlightenments can be a start of change. But everyone has their own way to protect themselves from things that irritates them. Maybe the mix of art and technology can be a softer alternative instead of the “shock treatment”. Artwork Description: Sound installation consisted of a simple trigger and action process that will result in a infra bass humming sound which over-pass the boundaries of sonic world into corporal sensorium. Personal and Artwork’s Statement : Working in the field of art and science and interested in the environmental subjects. 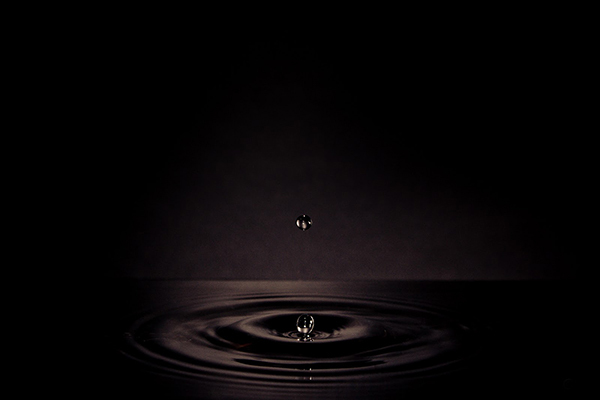 my works are mostly data-driven installations, but in Water Bit sound installation a natural element like water is used to make a direct dialogue between the nature to trigger a sonic vibration which influence the both sonic and corporal sensation of audition. Biography: Right now, based in Aix-en-Provence, France. I’ve Started my career in cinematography, but my personal interests leads me to the world of art and science. My works are mainly gathered around the geographical and environmental data flux and data-bases. This workshop requires no previous knowledge of vvvv. In the two days we’ll give you an overview of what working with vvvv is like. After an introduction to the user interface and its paradigms of a visual, node based programming language you’ll learn to create various essential patches from scratch. If you bring your own ideas of what you want to realize we’ll try to incorporate that into workshop. 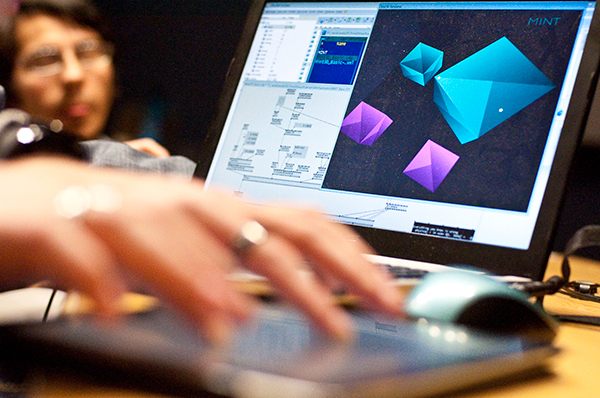 vvvv is a hybrid visual/textual live-programming environment for easy prototyping and development. It is designed to facilitate the handling of large media environments with physical interfaces, real-time motion graphics, audio and video that can interact with many users simultaneously. joreg *1978, is co-founder of vvvv.org and core-developer of the multipurpose toolkit vvvv. besides he teaches, works for money and is mainly concerned with the integration of sound, image and computer code. 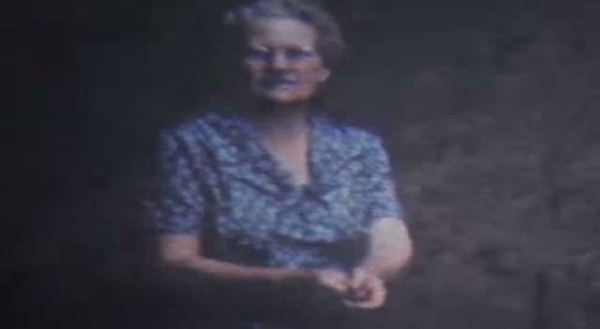 *1979 in Mannheim, Germany. Initiator of multiple participative projects on the borderline of art and activism. Lives & works as a media artist, musician and astronaut in Cologne, Germany. 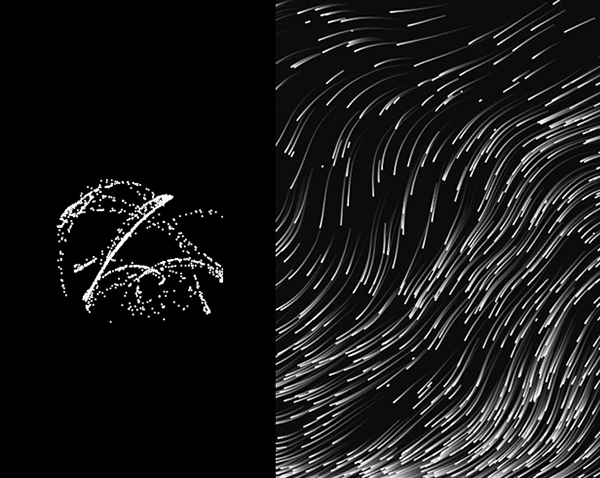 Through examples and hands-on experiments, in two sessions we will explore the basics of creating engaging and playful systems of collaborative realtime audiovisual experiences on the web. We will look at inspiring examples and explore a number of techniques and libraries to turn our browser into an interactive canvas. Two sessions is not enough time to delve deep into both theory and practice, but it should provide an intro-level course to get a head-start in experimenting and creating. Hasan Hujairi (1982) is a composer, sound artist, and independent researcher who divides his time between his native Bahrain and Seoul (South Korea). His sound art performances and installations build on his academic interest in Historiography and Ethnomusicology, which he presented in different venues in Seoul, Tokyo, London, Glasgow, Amsterdam, New York, Beirut, and Bahrain. Hasan participated in art residencies in the Korean National University of Arts (Seoul, South Korea), STEIM (Amsterdam), and the Red Bull Music Academy (London) for his activity in Sound Art and Music Composition. Hasan’s academic background includes a BSBA in Finance from Drake Univeristy (Iowa, USA), a Masters degree in Economic History/Historiography from Hitotsubashi University (Tokyo, Japan), and Ethnomusicology research at the University of Exeter (Exeter, UK). He has in the past acted as curator at Al-Riwaq Art Space (Adliya, Bahrain) and has been involved in other independent art initiatives in Bahrain. He is currently pursuing his doctorate studies in Korean Traditional Music Composition at Seoul National University’s College of Music. Hasan is also an accomplished oud player. 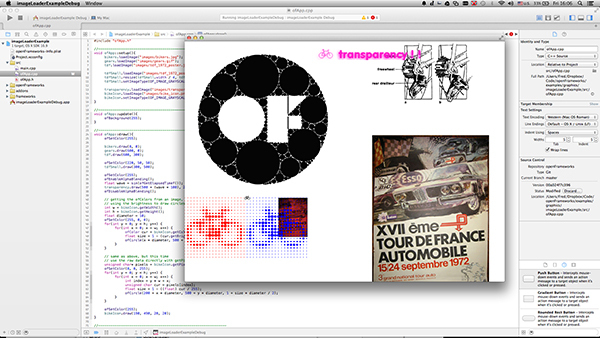 Frederick Rodrigues will present a 2 day workshop on Openframeworks a powerful cross platform open source toolkit for artists, creative practitioners and engineers. We will begin at the beginning-> getting started and progress to more advanced techniques, read on for details. To participate you must bring a laptop (mac or windows) preferably with a functioning webcam, at least 1 gig free HDD space and up to date drivers and operating system. It is highly recommended to have some knowledge of programming and technology, experience with max/msp, Isadora, VVVV is a great start. Day 1- A beginners introduction to working with Openframeworks a powerful cross platform open source toolkit for artists and engineers. Day 2 – Interaction and computer vision. Followers of the first day are welcome here as well as people with some programing background AND a little experience with openframeworks. We will look at hardware and software techniques to implement various types of non- instructive interaction and motion tracking. We will use OpenCV to create some basic tracking and see how we can adapt it to be integrated into difficult environments and live performance situations. Some things we will include are object tracking, IR camera systems, leap motion, augmented reality and other techniques to free your software from the chains of a keyboard and mouse. Of course there will be time for questions and solving existing problems. This workshop addresses practitioners of electroacoustic music and anyone who is interested in real-time processing of sound. The open-source real-time music software Pure Data will be used to demonstrate fundamental techniques for sound analysis and synthesis. These techniques are useful for everyday artistic work in electroacoustic composition and performance. Starting out from the very basics of working with digital audio, sound analysis techniques are introduced and illustrated by practical use-cases. This is complemented by state-of-the art event-based synthesis techniques as provided by my Universal Polyphonic Player framework (http://grrrr.org/upp). Both aspects can work as very practical starting points for specific artistic applications of the participants of the seminar. Scientific research in fields of sound perception, analysis and modeling, interactive electronic instruments and artificial intelligence. Development of commercial and open-source software, electronic instruments and interactive media systems. 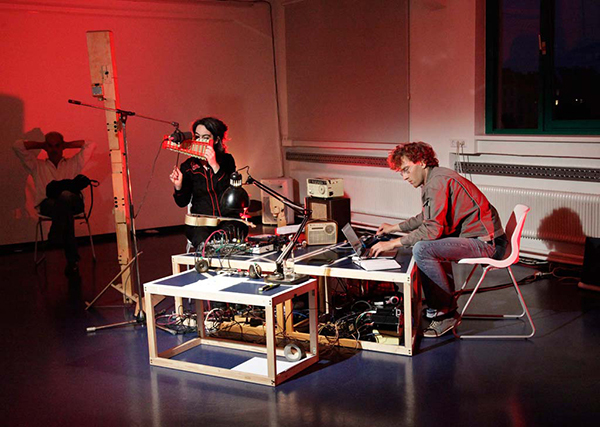 Conception and realization of multi-media installations and live electronics in the context of contemporary music. Scientific publications, lectures and workshops at international institutions and conferences. Lectureships at the University of Applied Arts and the University of Music and Performing Arts in Vienna. Senior researcher at the Austrian Research Institute for Artificial Intelligence (OFAI). Conception and management of projects in scientific, artistic and commercial contexts. Curator for the concert series for contemporary and experimental music “Neue Musik in St. Ruprecht” in Vienna. Thomas Grill lives and works in Vienna, Austria. The sensual interaction of humans with their environment, the relationship between nature and artifact and their gradual entanglement are central themes of my artistic work. 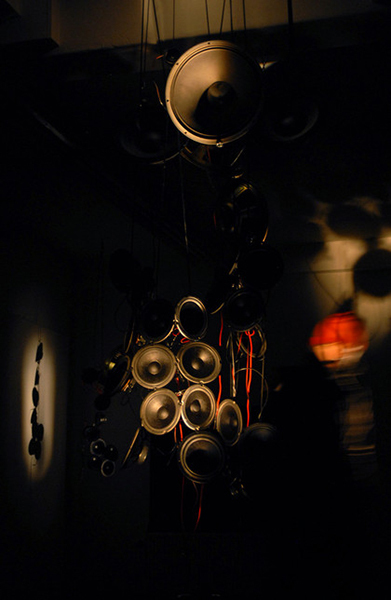 Acousmatic and instrumental compositions, as well as the formulation of a characteristic sonic language within “musicking” and improvisation represent approaches using audible media; interventions and installations integrating visual media extend the sensory spectrum. Additional focus is on cooperative projects with artists of most varied disciplines – by constituting frontier crossings these stimulate the continuous questioning and widening of the own perception and methodology. My performance will orbit around my five-movement electroacoustic multi-channel composition “Points of View”. The piece will be broken up into its constituents and reassembled using external materials of images and performance. 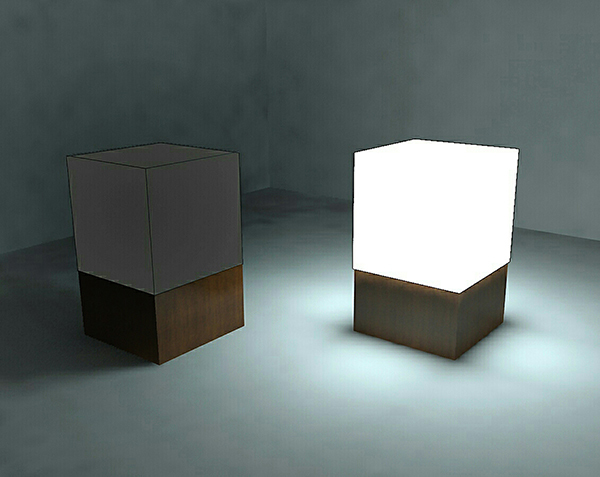 The Points of View feature sound materials that hardly show relations to natural-sounding objects. Nor do the composed acoustic spaces originate from familiar contexts. The spaces enwrap, open up windows, form edges and surfaces. Sounds develop therein, unfold their existences and interact with each other. The listener cannot escape from taking his/her position within this sonic field, exposed to an architecture of sounds and their intrinsic mechanisms. Once almost familiar, and then again totally alien. ‘WM_EX10 TCM_200DV A1.2FPP BK26′ is a noise performance where sound is generated through short circuits the artist produces with his wet fingers on opened devices. The skin’s resistance and the conductance of the human body combined with the components of the circuits are modifying the sound. 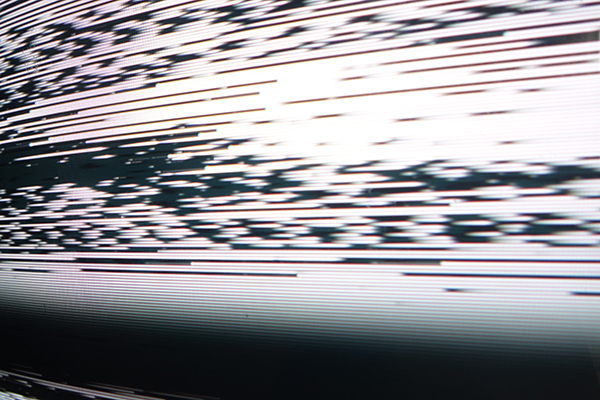 The audio signal that is audible through the speakers is sent to tube monitors which are visualizing the signal in flickering and abstract shapes and lines in black and white. The used devices, such as ‘Walkmans’, a ‘Bontempi’ keyboard and a audio amplifier, are still useful in their original function. The title of the performance is the type designation of the three devices and changes with the objects used. First part is about the human nature and it’s experience in all kind of life styles, from being alone or leading the world as a main character. The main point in this part is the sharing ideas and experiences, not for ourselves but for all human kind. “ We are all explorers and we represent our species and the greatest good we can do is bring back a new ideas . “ – Terence McKenna. In September 1977 NASA lunched Voyeger1 spacecraft to communicate with the deep space. On September 2013 NASA announced that Voyeger1 had crossed the heliopause and entered interstellar space on August 2012 making it the first spacecraft to do so. In April 2013 a blast wave from a massive 2012 solar eruption reached voyegr1 in interstellar space and it caused the plasma around the spacecraft to oscillate in a particular tone and was recorded as the title of “ Interstellar Sound “ . “ Nothing is too wonderful to be true, if it be consistent with the laws of nature. “ – Michael Faraday. This piece starts with a lullaby which my mother used to sing to me as a child , i recorded this song after 25 years via phone since I was living abroad at the time. The so called “No input mixer” that is used in this piece is a technique used to make an audio mixer into a feedback loop. Due to the nature of this device this whole piece would be an improvisation with feedback. In this piece a wall of white noise is carved into a spoken word sentence which I recorded from a radio broadcast in Tehran. Saba Alizadeh is a performer/composer and photographer, born and raised in Iran.After completing his photography degree at Azad university of Tehran, Alizadeh moved to the United states in 2011 to study “Experimental sound practices” at California institute of the arts, where he started to explore electroacoustic and electronic music. In his performances, Alizadeh tends to combine theatrical elements with his compositions. So far his compositions have dealt with everyday socio-political issues. One of his latest performances “An Iranian dismantling a nuclear bomb on U.S. soil” was selected for the California electronic music exchange concert series in 2013 (CEMEC). Alizadeh is also an internationally acclaimed Kamancheh (persian spike fiddle) virtuoso. As a photographer his work has been displayed in middle east, europe, United Kingdom, United states and Moscow. He recently lives in Tehran ,Iran. Human being is looking for an answer to his question about “need to immortality” while the technology is developing. He is starting up to record his individual moments. More than 100 hours videos are being added just to You tube site, in an hour. And there are more than 6 milliard hours’ videos to see which are just belonging to the You tube site and they are not included the selfies or photos which are taking in the bathroom’s mirror. 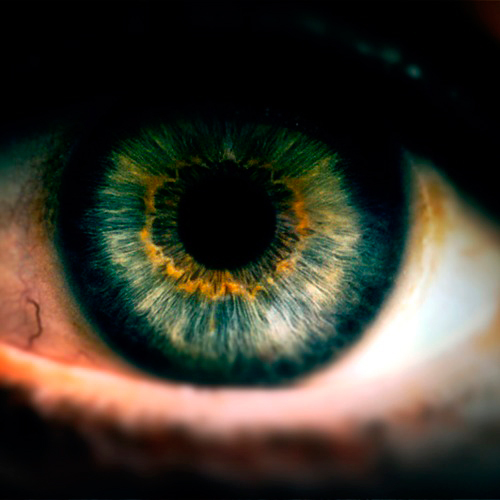 However, the primary question also remains whether the need to be seen isn’t the main factor to presence a person (big brother) in order to see? Neurite is an independent music label with focus on electronic music & sound experiences in Tehran, Iran.The mission is production, distribution & making live performance opportunities inside Iran. Although extremely toxic, mercury was traditionally thought of as the First Matter, from which all metals were formed. Yet, exposure to this exotic cold-silver looking liquid metal can cause severe health damages. In this EP, mercury has been used as a metaphor for noise: an exotic singularity that can be dangerous, disturbing, and harmful, while being the richest source of all sounds. 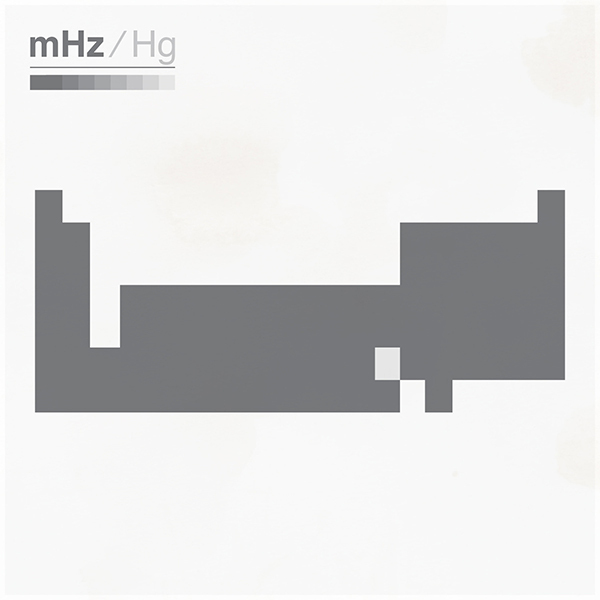 Pushing the limit to the fine line between harshness and pleasure, “Hg” is an effort to create an amalgam of trifling noises of everyday life, glitches of the machine, and digital oscillations on a persistence pulse. Beat and noise are fused here to make each other more interesting, taming the harshness, while preserving the provocativeness. 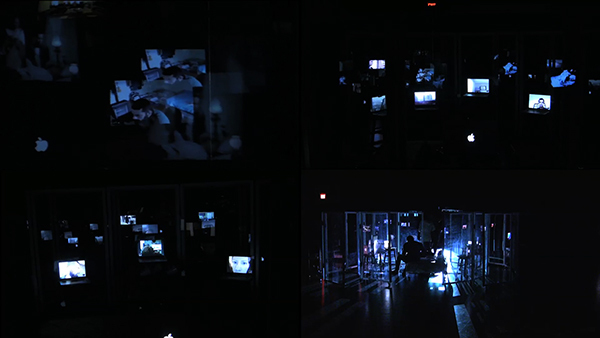 In this audiovisual performance, the visual transcription of the same idea accompanies the audio: drawing attention to the ignored visual noise that we’re exposed to every day, all the time. Words, numbers, barcodes. They are things that we see every day. They’re everywhere. We see them on every object that we use, on the newspapers, food containers, at the store, on facebook, but for the most part, we tend to ignore them. Accordingly, the visuals in this performance are highlighting the very basic but quite ubiquitous visual noises of our daily life. Species are at their best when they’re cornered. When loosing oneself new possibilities would arise, things unimaginable before. Void+1 is the idea and my model that there’s always more to reality than we can imagine, language has always been limited, words can’t describe our experiences, when you can’t imagine something, it doesn’t exist in your mind. this idea has led me to expect the unimaginable. There’s something we call The Void, its the territory of the unknown , somewhere that remains a mystery, but mystery is always changing, something is always found that could never been imagined before and limits are pushed further. My desire is to experience the voices i hear in the solitude of my mind again over again . 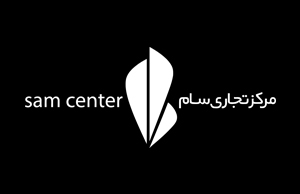 Mohsen Gallery was established in January 2010 with the aim of supporting young artists and their creative ideas and showing leading trends in contemporary art. Therefore they showed interest for more exotic media such as video art, digital art and interdisciplinary arts and now on the threshold of their fifth year, they seek to draw new horizons in the course of their activities. Darbast platform has been established in the spring of 1391 with the aim of creating a multimedia and interdisciplinary space for contemporary art and culture and during its establishment has tried to make contact and interaction between artists and those interested in branches of visual art, music, theater, cinema and literature to help them grow and flourish. The presence of specific and credible brands in apparel, bags and shoes, supplementary items, jewelry, watches, silver, cosmetics, perfume and cologne are at the center of the focus in Sam center and supplying needs of customers, travel tired customers or businessmen, politicians and intellectuals punctilious in their lifestyle and targeted communications, as well as tourists away from home in a safe and relaxed atmosphere. Creation and development of differentiated services and effective opportunities is the permanent center of Sam center attention when honored to host the conscious part of the population. Allocating 240 standard parking lots with two access routes, from Ferehsteh street and Modarres highway but is a key but simple prelude, a specific space for lobby with reception service and its continuous effects and new opportunities makes an attractive place for daily appointments. Some steps higher there is the Sam café with a new flavor in taste and quality for memorable moments.Outside there is the Sam gallery our of the earth and its situations for tired eyes to look and bring people back energy they have consumed in the city. A little higher at the sky and Alborz mountain range there are four restaurants different in taste and style and nationality but common in standards of originality, beauty and diversity which make a perfect place for hard tastes. That’s nit it, Sam story will also have more responses for special demands. 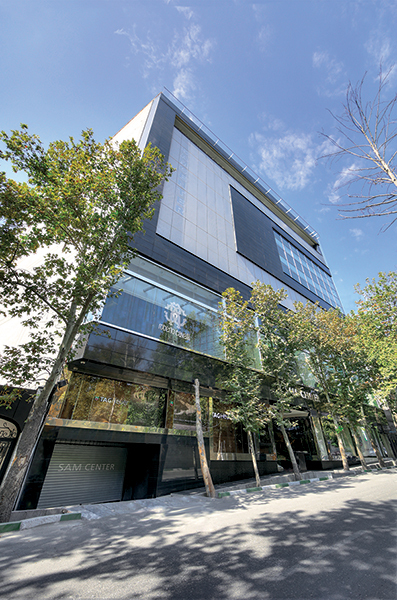 Gholhak campus is close to Yakhchal in Shariati Street with an area of about four thousand square meters. Gholhak Pardis cinema management has proudly established the first “private cinematheque of country” aiming to promote technical levels of students and those interested in cinema. 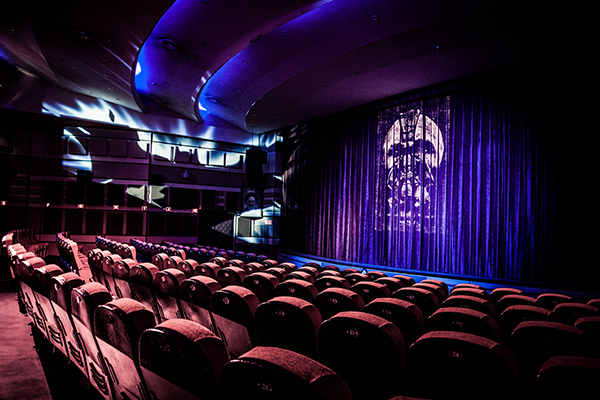 With an experience of nearly 3 years cinema Gholhak made it to become a venue for artists and art lovers of pure cinema. In these three years we have tried to show best of all the genres of film and over 500 films were premiered. In fact it’s an exclusive club for its members which are now now up to 3,500. 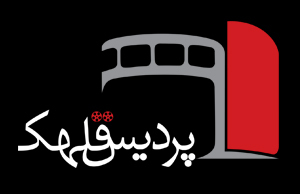 One year after its establishment in order to advance its cultural purposes and given the absence of art programs in the country Cinematheque has started to hold plans other than films and cinema and has started working on events like some music festivals, Ted X conferences, broadcasting live sports events, live animation dubbing etc. Gholhak Cinematheque is by now holding Ted X festival at the same time as Mohsen Gallery to develop their artistic activities. One of the main goals of the activities of the Goethe-Institut (www.goethe.de) in general is to foster creativity and dialogue between enthusiasts on all fields of art. In particular the Goethe-Institut is committet to promote innovative ways to communicate with each other through art. The digital world offers a huge range of new means to express oneself and guarantees the availability of such kind of artwork around the globe. 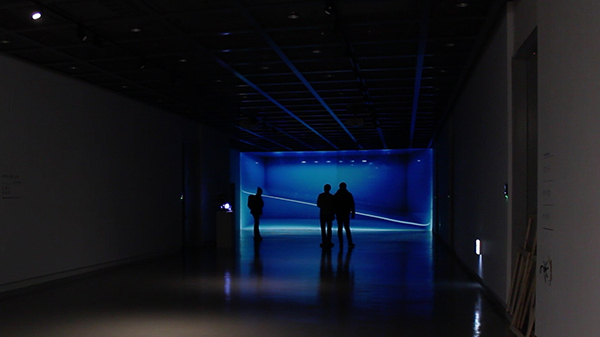 In the meantime exhibitions and festivals for digital art were launched nearly in each country of the word. In Iran one could become familiar with the latest achievements on that field attending or recognising the Teheran Annual Art Exhibition (TADAEX; http://www.tadaex.com/ ), 10.10.-22.10.2014. Presentations, workshops, lectures, multimedia performances and much more will help the participants and the public to enjoy these results of creativity on the one hand and on the other hand it will convey to all these interested people the huge potential digital arts has to offer. 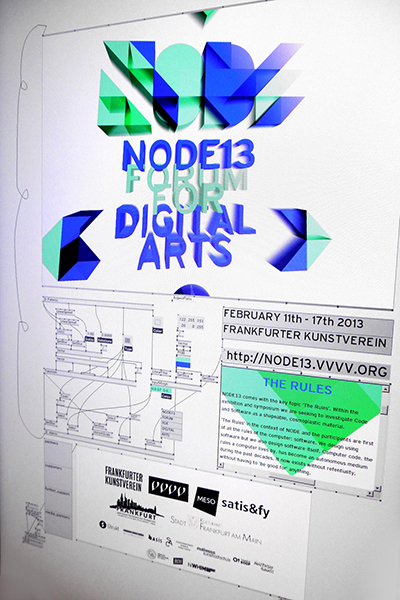 In Germany a similar event, the biannual festival NODE– Forum for Digital Arts, takes place in Frankfurt/M. The festival gathers creative coders, digital artists and creatives of the digital media scene since 2008, always in spring. For Iran the Goethe-Institut staff member Mrs. Farnaz Ghorbani Monhasser, Teheran, realised the importance and the potential of a cooperation between both festivals and introduced the representatives of the festivals to each other. Now there are a lot of contacts and exchanges between both sides. And Mrs. Ghorbani is now a jury-member of TADAEX . So, in October 2014 at TADAEX two German experts on their field, Mr. Florian Egermann und Mr. Joreg Diessl, will run a workshop regarding “Interactive Stage Design”. In order to make things more sustainable both festivals in cooperation with the Goethe-Institut created a special residency program. The German price winner for the residency program in Iran is Georg Scherlin, a visual artist based in Berlin. 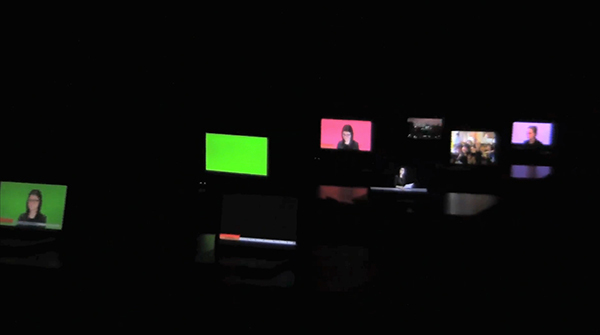 His Iranian counterpart is Amir Bastan, Tehran, a media artist with a focus on video art and real-time projects. 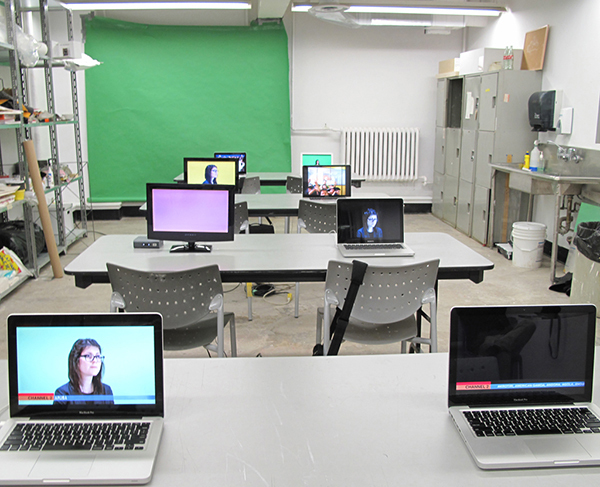 NODE aims to foster a critical reflection within scene. The forum is supporting the creation of an innovative and responsible movement by encouraging new collaboration, interdisciplinary exchange and open knowledge sharing. The main goal of the forum is to empower individuals by encouraging them to experiment, prototype, and develop new things, to ask new questions and to provide answers. 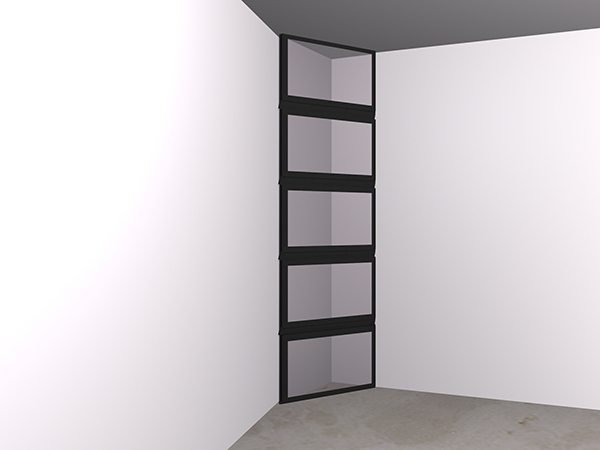 NODE is facilitated through the partnership with MESO Digital Interiors. A range of further partners of media related firms accompany NODE as participants, lecturers, panelists, sponsors, workshop hosts, who are pushing the dialog on innovative ideas at NODE. nullsight is technology-driven studio dealing with creative coding & visual coding, interaction design, immersive environments, 3D video mapping, motion graphics & motion pictures. Dastan’s Basement started its activities in April 2012 in Fereshteh Neigbourhood, in northern Tehran. The Basement is primarily a space for art exhibition. 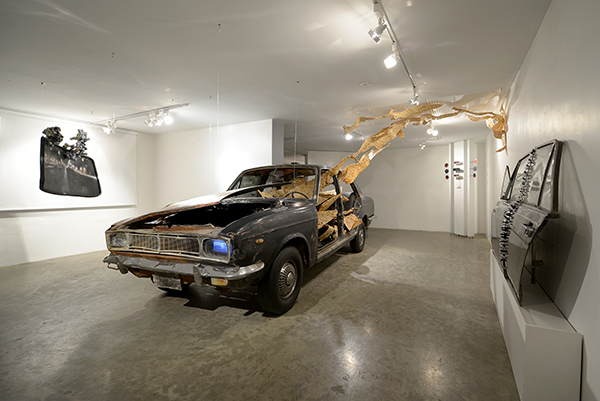 Dastan has focused mainly on Emerging Iranian contemporary art, ranging from drawings to installation and 3D works. In addition to having shown the works of over 50 emerging artists, the works of prominent artists such as Fereydoun Ave, Bahman Mohasses, Mohsen Vaziri Moghadam, and Ardeshir Mohasses have also been exhibited at Dastan. 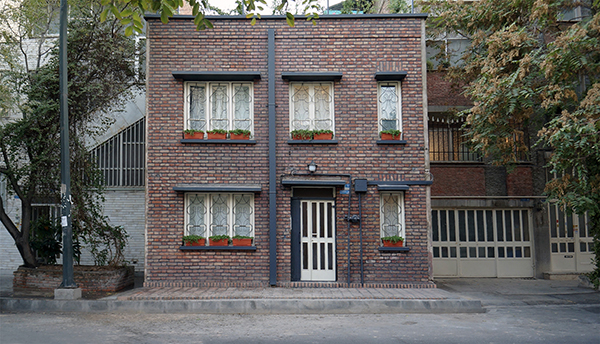 Kooshk Residency is a non-political and cultural Tehran-based space in partnership with Mohsen Gallery that promotes cross-cultural dialogue and artistic development by providing artists, curators, researchers, writers and filmmakers with beautiful studio and living space for a period of one week to a maximum of one month. Kooshk interested to run cultural exchange programs in collaboration with international art and cultural institutes all over the world.